White cotton covering with printed dolly detail. 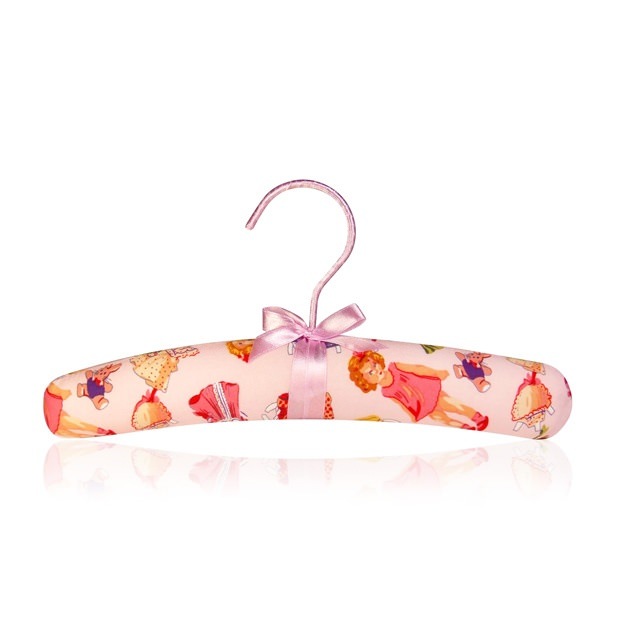 Hanger hook covered in pink satin ribbon. Pretty central pink bow. Size: Width 26cm (11.8") approx.